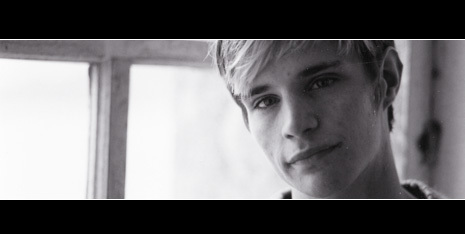 Matthew Wayne Shepard (December 1, 1976 – October 12, 1998) was an American student at the University of Wyoming who was fatally attacked near Laramie, on the night of October 6 – October 7, 1998 in what was widely reported by international news media as a savage beating because of his homosexuality. Two men, Aaron McKinney and Russell Henderson, lead him to a remote area east of Laramie where they demonstrated unimaginable acts of hate. Matthew was tied to a split-rail fence where he was beaten and left to die in the cold of the night. Almost 18 hours later he was found by a cyclist who initially mistook him for a scarecrow. Shepard died from severe head injuries at Poudre Valley Hospital in Fort Collins, Colorado, on October 12, 1998. His two assailants were convicted of the crime and imprisoned. Henderson is currently serving two consecutive life sentences and McKinney is serving the same but without the possibility of parole. However, Henderson and McKinney were not charged with a hate crime, as no Wyoming criminal statute provided for such a charge. The disturbing and brutal nature of Matthew Shepard's murder prompted calls for new legislation addressing hate crime, urged particularly by those who believed that Shepard was targeted on the basis of his sexual orientation. Under current United States federal law and Wyoming state law, crimes committed on the basis of sexual orientation are not prosecutable as hate crimes. In the following session of the Wyoming Legislature, a bill was introduced defining certain attacks motivated by victim identity as hate crimes, but the measure failed on a 30-30 tie in the Wyoming House of Representatives. At the federal level, then-President Bill Clinton renewed attempts to extend federal hate crime legislation to include gay and lesbian individuals, women, and people with disabilities. These efforts were rejected by the United States House of Representatives in 1999. In 2000, both houses of Congress passed such legislation, but it was stripped out in conference committee. On March 20, 2007, the Matthew Shepard Act (HR 1592) was introduced as federal bipartisan legislation in the U.S. Congress, sponsored by Democrat John Conyers with 171 co-sponsors. Matthew's parents, Judy and Dennis, were present at the introduction ceremony. The bill passed the House of Representatives on May 3, 2007. Similar legislation passed in the Senate on September 27, 2007 (S 1105), but President Bush has indicated he may veto the legislation if it reaches his desk. Which is why your voice of support is needed. Please read the below letter and tell the lawmakers how important it is for this bill to be approved. Hates crimes need to be put to an end. The Matthew Shepard Act is at risk! Tell your lawmakers to protect the hate crimes legislation we've worked so hard for. The Matthew Shepard Act could be abandoned by Congressional leaders unless we act immediately. Email Congress today and stand up against hate crimes. I have alarming news. The Matthew Shepard Act – whose passage in the Senate and House required months of effort – is now in serious jeopardy of not making it to the President's desk. The hate crimes legislation we've fought for has reached its final step before being sent to President Bush, but some lawmakers are working to derail it. Right now there is a very real danger that the Matthew Shepard Act won't even make it to the President for his signature or veto. If that happens, we could lose months or years of progress. We likely have less than a week to act. Tell your lawmakers the Matthew Shepard Act must not be abandoned by the Conference Committee next week. How can a hate crimes victory be so close and yet still so much in jeopardy? Here's what's happening: Senate leadership employed a commonplace strategy with this bill. They calculated that the only chance of the Matthew Shepard Act surviving Bush's veto pen was if it were attached to a "must-pass" Department of Defense bill. But now that House and Senate are reconciling their versions of the DoD bill, it is under attack from anti-GLBT conservatives against hate crimes legislation, as well as progressive, pro-equality lawmakers who oppose some of the bill's provisions for the war in Iraq. We cannot let the Matthew Shepard Act be abandoned when we have come so close to getting it to the White House! We only have a matter of days before Congress is back in session and the final decision is made. This issue is especially timely right now. Last week, the FBI reported that hate crimes rose nearly 8% last year. You know how hard we've worked to pass the Matthew Shepard Act. Since April, hundreds of thousands of HRC supporters like you have bombarded Congress with letters and phone calls. You've enlisted friends in the fight, written to local papers, passed out postcards at events. You've given time and you've given financial support. Don't back down now – not if you care about the safety of GLBT Americans. Ask your Senators and Representative to make sure the Department of Defense bill passes with the Matthew Shepard Act included. Thank you, again, for your ongoing commitment to equality and justice. © 2007 The Human Rights Campaign. All rights reserved. If you would like to unsubscribe from a specific Human Rights Campaign list, or update your account settings, you can visit your Subscription Management Page. Click here to remove yourself from all Human Rights Campaign lists. The anti-gay Westboro Baptist Church of Kansas, led by Fred Phelps, picketed Shepard's funeral as well as the trial of his assailants, displaying signs with slogans such as "Matt Shepard rots in Hell", "AIDS Kills Fags Dead" and "God Hates Fags". When the Wyoming Supreme Court ruled that it was legal to display any sort of religious message on city property if it was legal for Casper's Ten Commandments display to remain, Phelps made attempts to gain city permits in Cheyenne and Casper to build a monument "of marble or granite 5 or 6 feet in height on which will be a bronze plaque bearing Shepard's picture and the words: "MATTHEW SHEPARD, Entered Hell October 12, 1998, in Defiance of God's Warning: 'Thou shalt not lie with mankind as with womankind; it is abomination.' Leviticus 18:22." As a counter protest during Henderson's trial, Romaine Patterson, a friend of Shepard's, organized a group of individuals who assembled in a circle around the Phelps group wearing white robes and gigantic wings (resembling angels) that blocked the protesters. Police had to create a human barrier between the 2 protest groups. While the organization had no name in the initial demonstration, it has since been ascribed various titles, including 'Angels of Peace' and 'Angel Action'. The fence to which Shepard was tied and left to die became an impromptu shrine for visitors, who left notes, flowers, and other mementos. It has since been removed by the land owner. In the years following Shepard's death, his mother Judy has become a well-known advocate for LGBT rights, particularly issues relating to gay youth. She is a prime force behind the Matthew Shepard Foundation, which supports diversity and tolerance in youth organizations. Ellen DeGeneres hosted Shepard's memorial services in Washington, D.C.
Three films were made about the Shepard's story: The Laramie Project (based on the play of the same name), The Matthew Shepard Story and Anatomy of a Hate Crime. The Laramie Project and The Matthew Shepard Story both won numerous awards. Shepard can also be seen in the documentary Dear Jesse in a brief interview, released to the Tampa International Gay and Lesbian Film Festival on October 10, 2 days before he died. Coretta Scott King, widow of Dr. Martin Luther King, wrote to Judy Shepard expressing her sympathy and her belief that civil rights include gay and lesbian rights. Radio DJ Howard Stern invited members of the Westboro Church on to The Howard Stern Show. The show's cast and callers proceeded to insult and discredit the church's members. The group has appeared on the show several times since; each time Stern makes numerous comments denouncing the group and its cause. This tragedy helped the nation wake up to the fact that hate and discrimination still lives in our communities, our schools and our families. Although his life was cut short, the impact of his spirit is great.